Photo credits: Montessori Training Center of Minnesota, Little Miners Montessori, The Natural Child Learning Company, Sun Garden Montessori, LePort Schools. We have been in our new home for a couple of weeks and most of our areas are coming together. The children's study has been by far the most difficult room to put together. It is currently a homeschooling room, it's much larger than their previous space and both boys seem to have grown physically and in maturity since leaving our last home. I've been able to create different 'stations' or areas however I am in desperate need of some inspiration. Let me make clear that their study will not look like a Montessori classroom. However when looking for children's study/learning spaces the ones I find most inspiring are Montessori classrooms. Above are some of the best I've found and I have listed some of the things I take away as inspiration for our own home. I love how they all look different and unique but all share many of the same characteristics. When Caspar was around three I started looking for good Montessori first/early readers. The Bob Books were the series most recommended. While he was learning to read at school (he was at a Montessori school) I wanted to complement this learning by having good readers at home. As a Montessori parent what do I look for in a first/early reader? Books that start with the Pink Series and progress in a logical way. The first books as with the Pink Series have a focus on phonetic, CVC (consonant-vowel-consonant) words. Has an interesting (non-offensive), engaging story line. Is not in any way associated with licensed characters. Is true to life - the story line is plausible. Is attractive, illustrated in a nice way. Contain full short stories, setting the child up for success and satisfaction at being able to finish an entire book. I have now started using the Bob Books with Otis. However having him at home (not attending school) this term I wanted more. I sought out Miss Rhonda's Readers which have been a delight (so much so we now stock them at HWM Shop here) . Although there are a few different readers available here are my top three. 1. Bob Books. Very basic. The images are purposeful but not distracting. The storyline is amusing, my children find them funny but others may not. Originally made by hand the Bob Books were written by a teacher in the 1970s. Set One contains 8 booklets and there is a full series to grow with the developing reader. 2. Miss Rhonda's Readers. Colourful and nicely illustrated. A little more engaging and colourful than the Bob Books but simple enough that as a first reader children can start to decode the words and follow the story. These are a lovely addition to our home and are read repetitiously. Originally written by Miss Rhonda for her own Montessori Classroom. True to life stories including images and stories of nature. Set one and two each contain eight books. Miss Rhonda has a new set three which is a lovely first chapter book. 3. Flyleaf Publishing - Books to Remember. These are the only books on this list we haven't used in our home. They are the next on my list though. They come highly recommended as most of the stories are true to life and many have life like illustrations. Their scope and sequence page is an excellent guide. The books are available in sets or individually (or on Amazon here). We have tried a few other first/early readers however have found them a little hit and miss. I'd love to hear if you have tried any first/early readers that you can recommend. You know I love to support small business and especially one started by a Montessori teacher - have you tried these readers? 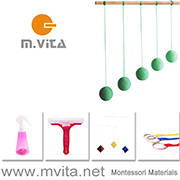 I've mentioned before about Montessori not being something we do during a specific hour, at a designated time, about it being more of a parenting and educational philosophy. 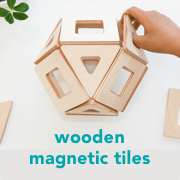 Once you get the hang of it, it's easy to make Montessori a part of every day. And to those who are skeptical of Montessori I think the way we live makes sense. Gosh Otis loves to sweep and he loves these stairs. I get that cleaning is really satisfying - and that the stairs needed sweeping. Sometimes he makes a rushed effort but today he paid attention to detail. Today he kept on checking the temperature, it was a particularly warm day. Getting his materials from a kitchen drawer. He also has the drawer above this one for his other/baking materials. While we were travelling we really missed him having access to his own kitchen materials and food. I think I heard a million times 'I'm hungry' 'I'm thirsty'. We rarely hear this at home as he can fix these things for himself. Eating while he works. I haven't set this up as something for him to do. He has got the strawberries from the refrigerator, his materials from the cupboard, he is slicing the strawberries because he is hungry. Making basil pesto for dinner. I put the ingredients on the board and Otis did the rest - most of the basil was already finely chopped and he put in a little too much olive oil but we can live with that. Yay! We made it to Brisbane. We are far from feeling settled (Caspar is feeling very unsettled) however we are comfortable and loving everything Brisbane has to offer. Even the scorching weather - no complaints here. Queenslanders are the most down to earth - laid back and all round chatty people. We have been made to feel so very welcome. A big part of our life right now is finding our rhythm and most importantly enjoying the same things we did in Canberra, enjoying the familiar. On moving in day the house was full of boxes and strangers (removalists!). A little audio/listening centre with a few cushions, a few CDs, a basket of play silks and next to that a basket of instruments and a pile of familiar books - created a nice little nook for the boys to play energetically or to sit quietly if they wanted. The boys study (it's huge!) still needs a lot of organising and rearranging so most of our work has been outside. I have even managed to give Otis a lesson or two. Below the parts of the plant we eat using vegetable matching cards. And for relaxation a little guided meditation (Otis is giggling!) at the end of the day.